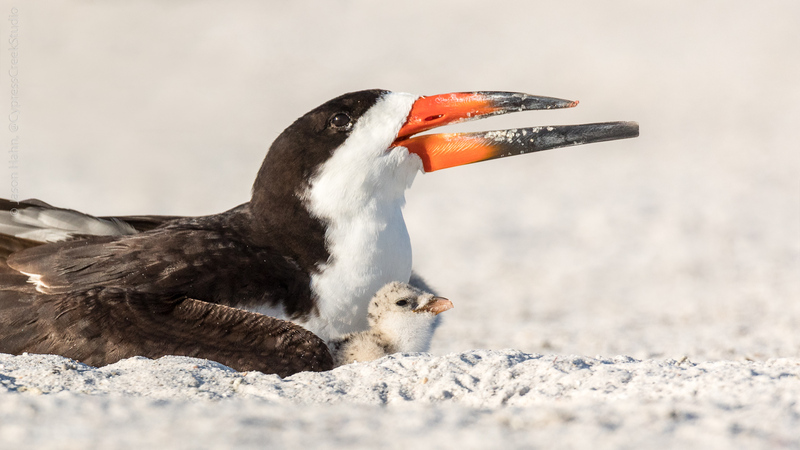 Beaches and coastal waters provide some of the best opportunities for nature photography, from wildlife to scenery, but sand and salt are probably two of the worst substances for your photography gear. Sand can scratch lenses, jam up tripods and focusing rings, and find its way into every nook and cranny in your gear. Saltwater can be death for electronics. While the extreme way to handle sand and salt is to avoid shooting in areas where they occur, doing this limits you from shooting in some great locations. In sandy areas keep a 2 or 3-inch wide paint brush with you. You can quickly knock loose sand off tripods, cameras, clothes and hands. Of course don’t use this on lens elements, as it may scratch them. It may be tempting to use a can of compressed air, but a bulb blower is much safer and more portable. Not all cans of air are created equal — some can leave an oily residue on your camera, and the high pressure freezing air isn’t advised for LED displays. If going after subjects on the ground, either by crawling or kneeling, when it’s time to stand up, prop yourself up with the knuckles of your closed fist. Don’t set your hand flat on the ground, as your palm will become covered in sand, which no matter you will then have to get off before you can take another photo. I’ve learned from experience — once you get sand on your palms, it doesn’t matter how many times you brush your hands off, there always seems to be some left that ends up on your camera. If around water, especially salt, keep a dry rag handy to wipe off any accidental splashes or spray. Be sure you have it somewhere that will stay dry. I usually keep a small cloth inside a sealed plastic baggie in my pack. While wading I have had large fish jump directly in front of me and splash water on my gear. A quick wipe with a rag was all I needed to keep shooting. Whether at the beach or wading in the water, try to keep all items that are vulnerable to sand or water damage waist high or higher. You can also minimize the chances you will drop something by clipping or tying everything to you, using retractable cords or lanyards. Periodically check the bottoms of pouches on belts, backpacks or vests to see if you have gotten them wet. If so, take a moment and check the contents to see if they need to be dried. Try to avoid putting items in pants pockets, I prefer putting everything in the pouches on my ThinkTank belt harness or in shirt pockets that can be securely closed (buttons, zippers, Velcro, etc.) If in your shirt pocket, make sure they are zipped/buttoned/Velcroed shut, you don’t want to have something fall out if you bend over. For beach birds or other wildlife I am often prone, slowly “leopard crawling” toward my subject. This helps to both get a good eye level angle and minimize stress on the animal. But, at the beach if you are wearing typical men’s pants with front pockets, they will fill with sand as you crawl. Turn your pockets inside out, or chose pants that have zippered or no pockets, otherwise you will discover you’ve turned those pockets into a sandbag on each hip when you stand up. Roseate Spoonbill feeding in a tidal pool.